Orlando City player happy in the MLS and has set his sights on playing at the next World Cup. 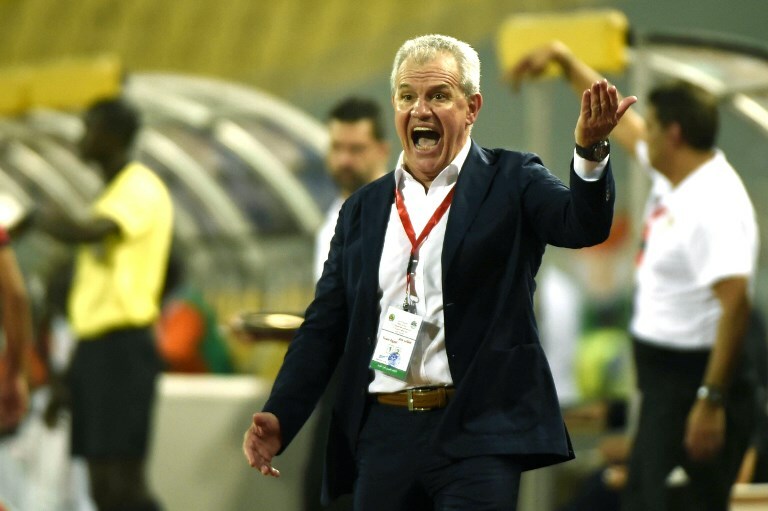 The left-back has found favor with new Pharaohs boss Javier Aguirre. LOS ANGELES: There was no sympathetic one-on-one chat with Hector Cuper to inform Amro Tarek that his dreams of going to the World Cup were over. The simple squad announcement of the final 23 players dispassionately told Tarek that he was one of six culled from Egypt’s preliminary group of hopefuls. The defender was unceremoniously grounded, while his compatriots boarded the flight to Russia. He would return to club employers Orlando City and watch the Pharaohs’ underwhelming displays in Group A from afar. But Tarek is neither bitter at being left out of Egypt’s final squad, nor at the lack of a gentler approach from former head coach Cuper. After just one previous cap for his country — last year’s friendly against Togo — the 26-year-old accepted that he was not part of the core who had secured a first World Cup appearance in 28 years. Instead, the central defender is channelling his focus into playing a part in the African Cup of Nations qualifying campaign and the 2022 World Cup bid by sufficiently impressing newly appointed head coach Javier Aguirre. If first impressions are anything to go by, then Tarek is certainly on Aguirre’s radar after he was named in the squad for last week’s 6-0 rout over Niger. “It’s a new chance for everyone under the new man,” said Tarek. “Of course, it was hard for me to watch the World Cup. But I was okay with it. I hadn’t been with the group for long, so it was good for me to even be included in the preliminary squad. Like any Egyptian, I was able to support the team. “It was motivation for me for 2022. My goal is the same, to keep working hard and to eventually join them and play for the national team. “We didn’t win a game at the World Cup, which is bad, but the big positive is that we reached the finals after 28 years, which was a very long time. 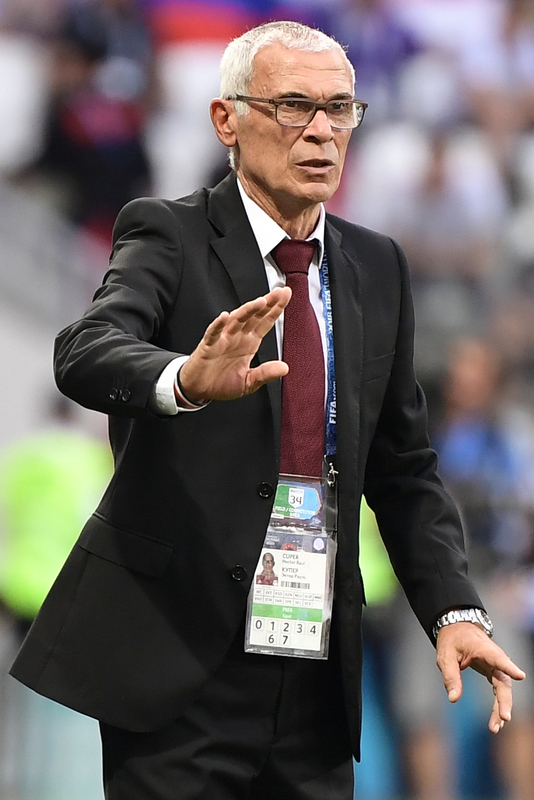 Ex-Egypt boss Hector Cuper left Tarek out of his World Cup squad this summer. Tarek believes his chances of being at the heart of the Egypt line-up over the next four years have been boosted by his loan move from Wadi Delga to Orlando last February — a deal which is due to be converted into a permanent switch at the end of the MLS season next month. He had previously been something of a journeyman after spells in Germany, Spain, Egypt and briefly in MLS with Columbus Crew, but he has become a regular at Orlando this season; starting 18 games for a team that has struggled toward the bottom end of the Eastern Conference. With footballing standards in the States on the rise and big name signings Wayne Rooney and Zlatan Ibrahimovic heading across the Atlantic in recent months, Tarek believes he is playing on a stage where his international credentials will be noticed. “Yes, I think it has helped me a lot because it is such a competitive league,” said Tarek, who was born in Los Angeles before moving to Egypt as a child. Of course, Tarek is far from the only member of the Pharaohs squad to be plying his trade outside Egypt. Of the 23-man squad for the World Cup, nine are currently based in either Europe or the US. Aguirre’s first squad went one step further, with 13 players from overseas clubs. While the likes of Mo Salah and Mohamed Elneny remain Egypt’s Premier League trailblazers, there are plenty of others operating at a high level, whether that be the English Championship, MLS or Turkish Super Lig. Tarek is in a good position to assess the standards of playing both domestically and abroad. After the turmoil of the 2011 revolution had subsided, he enjoyed three spells in the Egyptian Premier League with El-Gouna, ENPPI and Wadi Degla. But he believes the combination of home-based players and those based further afield can only be beneficial to the side’s development. The Orlando City player has found favor with new Egypt coach Javier Aguirre having been named in the squad for last week's clash against Niger. He added: “Football in Egypt was in a very good position until we had the problem in 2011, which took it down again. “But now I think it’s improving a lot and keeps improving each year. Tarek hopes MLS continues to be a happy hunting ground for Egyptian players looking to further their careers overseas. At the start of the MLS season, Orlando City’s Tarek was one of three Egyptian internationals playing their club football in North America, alongside Ali Ghazal at Vancouver Whitecaps and Omar Gaber at LAFC. Gaber’s stint in Los Angeles proved to be short-lived after he returned to the Egyptian Premier League by joining Pyramids FC last month. However, Tarek — who became the first Egyptian to play in MLS when he had a brief spell at Columbus Crew two years ago — is eager to see more of his compatriots follow him across the Atlantic. “Everyone can see how good the league is now and I hope there’s more Egyptian players that come out here,” he said. Tarek initially joined Orlando on a season-long loan from Wadi Delga in February, yet there is a clause in the contract for the deal to be made permanent and the Florida club are expected to exercise that option at the end of the season. Despite Orlando currently lying second bottom of MLS’ Eastern Conference, the 26-year-old is eager to stay at the club, which recently appointed former Sheffield Wednesday midfielder James O’Connor as manager in a bid to reverse their fortunes. Tarek added: “I like the MLS and playing at Orlando. “It’s a great city, so I would very much love to stay. “We’re trying to improve in each training session and each game; working on our defensive shape as a team because we’ve conceded a lot of goals.